Emily is a Consultant with Social Ventures Australia. Prior to joining SVA, Emily worked in both for-profit and social sector consulting in New York City. 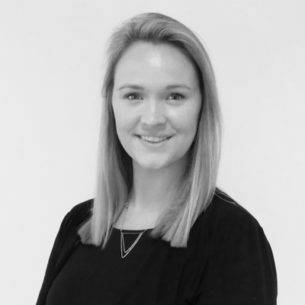 Using the skills and the knowledge base she developed across sectors, Emily draws on her extensive experience in strategic planning, operational design and outcomes management to help organisations ensure they are achieving the impact they wish to have. An accomplished presenter and facilitator, Emily is most passionate about making complex concepts easy to understand and accessible. She believes that those we serve should be at the centre of every solution and that successful problem solving involves bringing stakeholders along on the journey. Since working at SVA, she has worked across several different issue areas including housing, employment, youth development, and domestic and family violence. Emily holds a Bachelor of Science in Business Administration from the University of North Carolina at Chapel Hill and an MBA from Munich Business School, focusing on international business. In 2015, Emily published her Master’s Thesis on the role of direct service non-profits in increasing voter participation in the United States.